Every other day, for a little over four weeks now, I excitedly gush, "Guess what?! I think I'll be able to finish tomorrow!" Maybe you've been there before? Well, I said the same thing today and I'm now realizing that it might actually happen this time. Woooooo hoo! 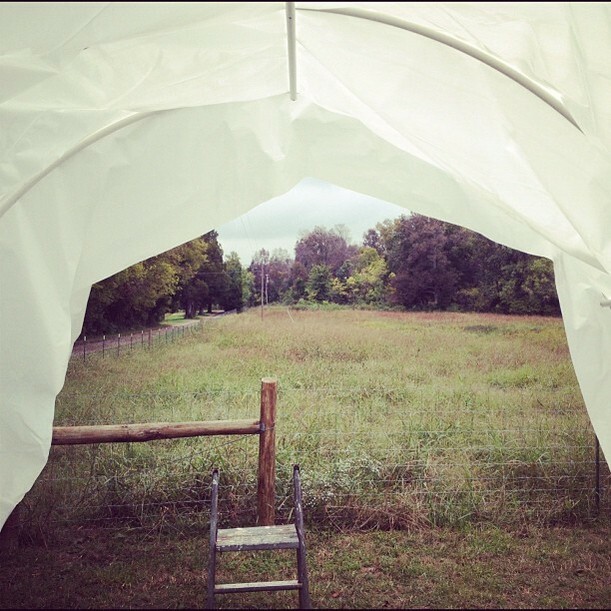 We've been building a hoop house for hay storage this winter. It's almost finished - we'll be starting on the end walls today! 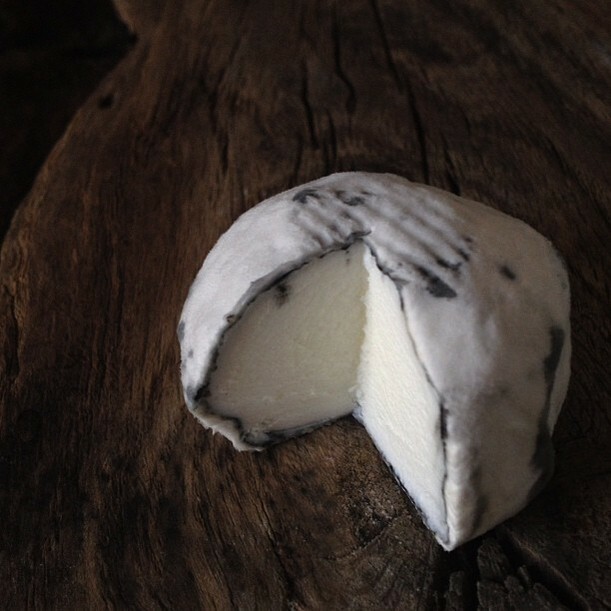 We were excited to break into one of our 2 week ashed bloomy rind cheeses last week. It was delicious and we can't wait to try them again at 3 weeks! 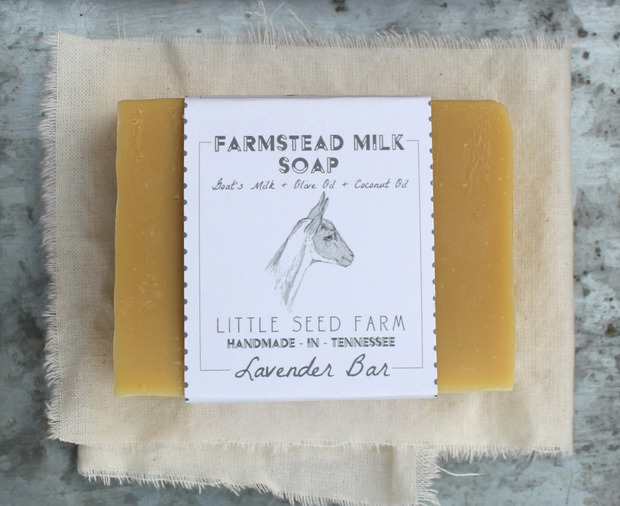 The flavor has amazing depth thanks to the raw milk from our pastured herd. Can't buy cheese like this in the states! Always many treasures to be found in the "red barn" (aka dilapidated shack). Yesterday was sunny with a high of 70F - the goats loved it! Cooler temps mean happy goats out in the sun chomping on pasture all day. This is just a glimpse of what we were up against in our bramble battle yesterday. The goats uncovered a massive dump pile under what looked like a bramble hill and now the work has begun in earnest to haul the junk out. The "junk" we've found has been everything from gates, telephone poles (with electrical boxes attached), a wagon, a roof, T-posts, fencing... And I'm sure, much much more. Yikes! 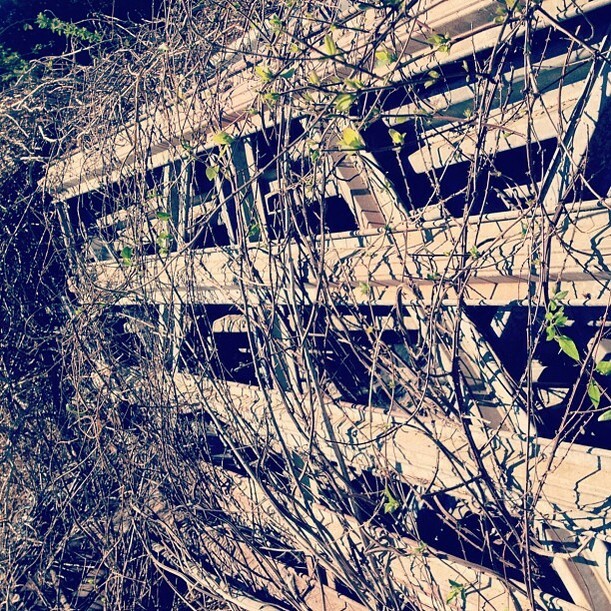 Some wild morning glory vines found their way in and up our rose bushes! ... A reminder that no matter what kind of thorny mess life throws your way, you've got to keep pushing through. There's light and beauty to be had on the other side, if you're willing to suffer a few scratches to get there.